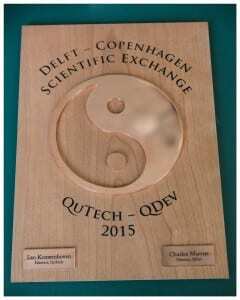 Delft-based QuTech and the Danish Niels Bohr Institute have signed a Memorandum of Understanding on Tuesday 17 March, in the presence of the King and Queen of the Netherlands and the Danish prime minister. Both institutes are internationally renowned for their work in the field of quantum technology. They are looking to work together more closely and to establish broad-based, international cooperation for the development of the first quantum computer. They aim to create a prominent role for Europe in its development.